The Prince of Wales and The Duke of Sussex today joined a discussion about youth violent crime, convened by The Prince’s Trust. The discussion took place at Clarence House and was part of the Trust’s work to help disadvantaged and vulnerable young people. It brought together Prince’s Trust Ambassadors; families of victims of youth violent crime; community groups and practitioners. 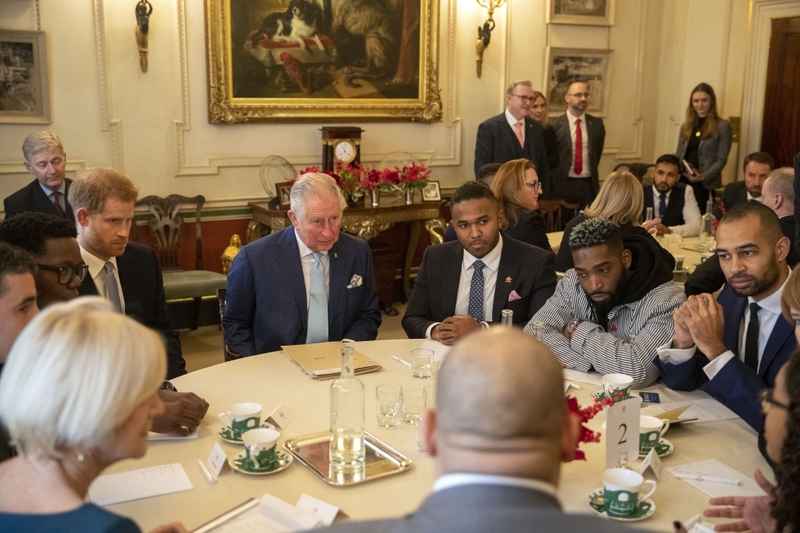 The Duke of Sussex joined his father The Prince of Wales for a discussion about Youth Violent crime, convened by The @PrincesTrust. The Prince of Wales established The Prince’s Trust in 1976 following social unrest and high levels of youth unemployment. Today’s discussion included young people, Prince’s Trust Ambassadors, families affected by youth violent crime and community groups – as part of the Trust’s ongoing work to help disadvantaged and vulnerable young people. The Prince of Wales established The Prince’s Trust in 1976 following social unrest and high levels of youth unemployment. The discussion covered topics including using social media to amplify inspiring voices, how relevant role models can influence behaviour, how can young people be engaged in alternative activities and giving young people a greater stake in the economy and society. You have not only faced challenges but you've had the resilience to overcome them. You have also, in your willingness to have open conversations, become young mental health pioneers. I would like to congratulate all of tonight’s winners again, well done and thank you for inspiring all of us with your strength, positivity and selflessness. We must follow the example of the young people of Lesotho, and meet one of the great challenges of our generation with optimism, energy, and openness.